We’re always happy to be in Hong Kong! My extended family nostalgia appears spontaneously as soon as I set foot in Hong Kong. When I was a little boy, a man named Harry Woo often watched me for my parents at our family restaurant at 2601 West Sixth Street in Los Angeles. Harry was their loyal dishwasher and short order cook. On what has, over time, become for me a fateful Saturday afternoon in the 1960s, he showed me a letter he was writing to his family in Hong Kong with his Cantonese calligraphy. I’ve never recovered from that moment. Harry’s letter to his parents in Hong Kong written in Cantonese taught me the world was a bigger place than I’d ever imagined. 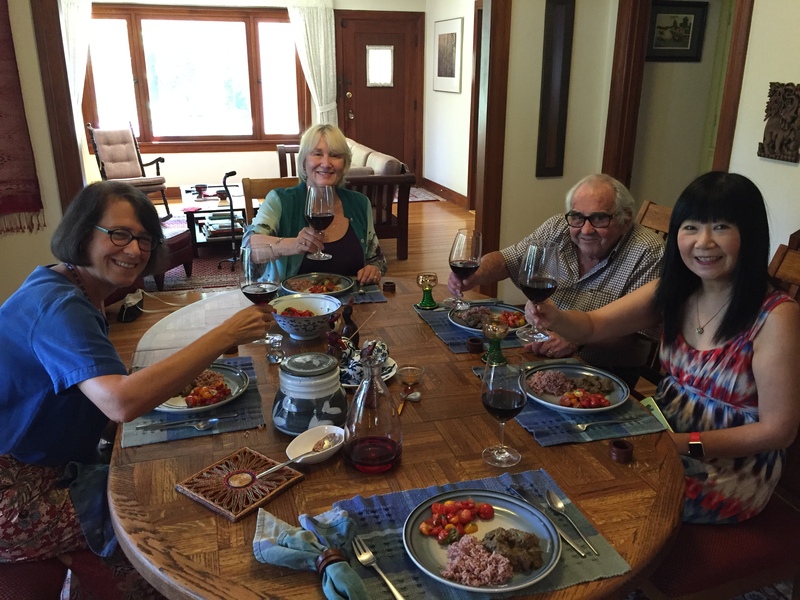 A late summer beef rendang lunch with Jan, Heidi Lesemann, Bill Kraft and Joan Huang. If I had to define patriotism, it would be the tastes of your childhood. If I sample a mixture of brown sugar and butter, I can go all Proust on myself and remember my mother’s cookies. And if I had to define maturity, it would be the evolution of taste acquired over time and exposure to many different cuisines. Which is another way to say that I didn’t grow up on the Malay specialty of beef rendang! A puppet shop in Kuala Lumpur, Malaysia. I can now easily locate my fascination with Asia when I remember certain events and people of my childhood. I’ve already written about Harry Woo of Hong Kong, who worked for my parents, reading to me in Chinese while pointing to his calligraphy. My first memory of a world outside of my family is of being taken to Chinatown for dinner in Los Angeles. I doubt I’ve ever forgotten the blue silk dress and lavish blue mascara of the server. And my pediatrician’s nurse was Japanese and the kindest soul on earth to me whenever I was a sick child. At least I now recognize that these memories help me piece together those now far away moments of Asian awakenings, creating a map of my life and the new decisions that shape its events. 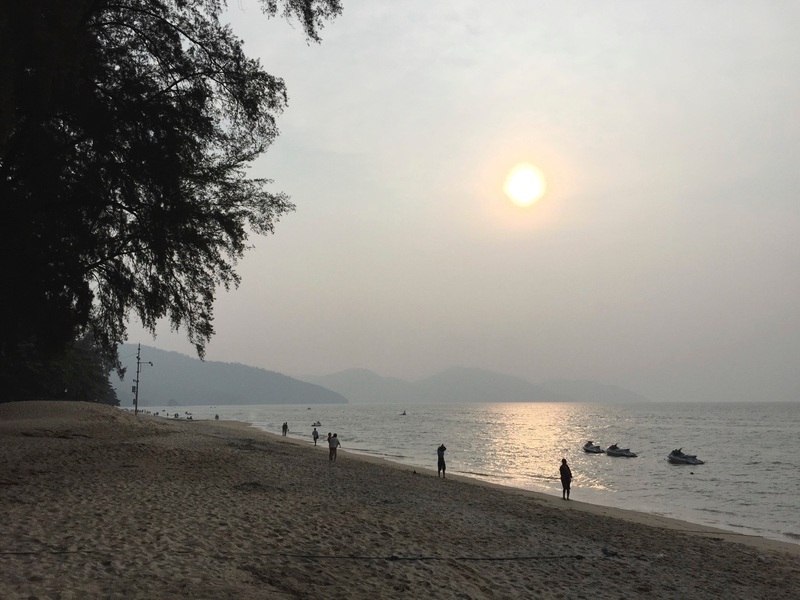 A sunset over the Andaman Sea on Penang Island in Malaysia. Perhaps all of our lives changed 518 long and almost forgotten years ago. On May 20, 1498, in the waning months of the 15th century, Vasco da Gama became the first European to set foot in India. The world would never be the same again. Food would irrevocably never be the same again. And as if ordered by fate, da Gama would die in Portuguese India’s Cochin on Christmas Eve, 1524. His death, 26 years after his first landing in India, still resonates in the 21st century. The geography of the Portuguese explorer’s passing reminds us that, like us, he would not be able to physically extricate himself from having made contact with the East. In a global world that’s here to stay, we are all still trying to understand each other. The 1885 Eastern & Oriental Hotel in Georgetown. 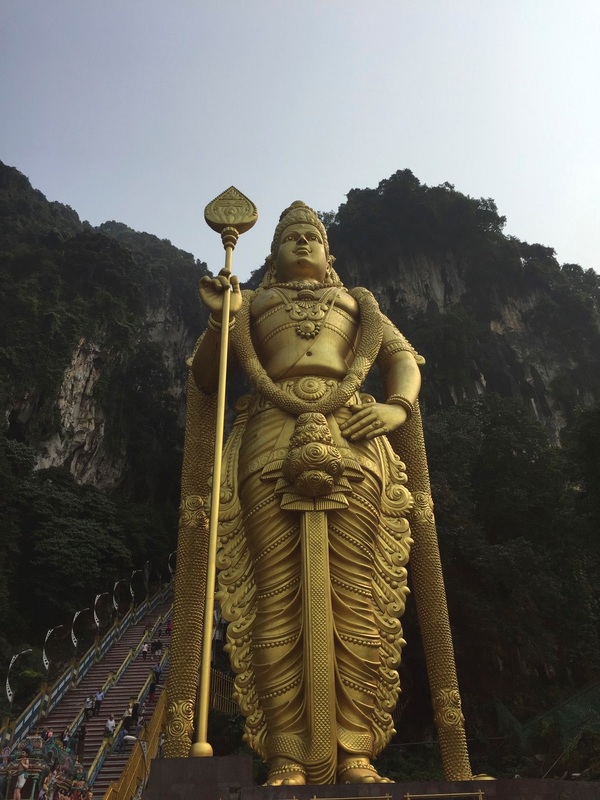 During the time I was in the UNESCO World Heritage City of Georgetown on Penang Island in Malaysia, I didn’t recognize the big impact it would exert on my life. But as my memory takes over from those experiences with the Straits of Malacca, I know that I’ll never be the same again. Not only are the peoples and religions of China, India, Pakistan, Burma, Bangladesh, or Sri Lanka all mixed up with the remnant of former British Malaya in a dazzlingly vibrant textile of culture. What is now apparent, to the world’s intangible benefit, is a vibrant and alive composite cuisine that, for me, changed my taste forever. There is no going back. I’ve crossed a food Rubicon because of Malaysia. Salt and pepper will never be the same again. A stockpot of asam laksa at Jooi Hooi Cafe. Soup connects the world. And here’s the recipe. Good anywhere on the planet. Combine water with nature’s vegetables, or use a stock from chicken, pork, fish, seaweed, or beef, add the spices and herbs of a specific culture, stir, bubble and boil until you cannot stop tasting the broth. Add any number of garnishing ingredients, from croutons in France to bean sprouts in Asia or chicharrones in Mexico, grab a spoon and eat, then live your life, fortified for anything that comes your way. 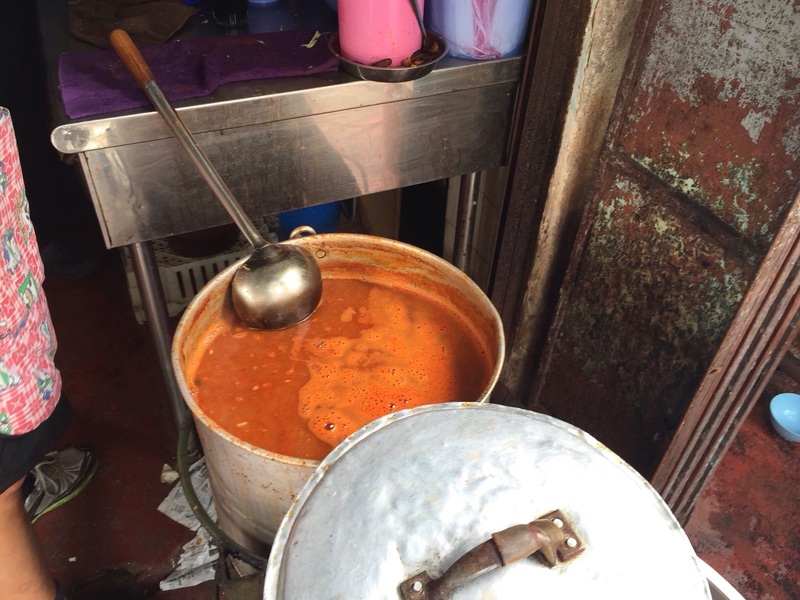 If there is a Soup Paradise here on Planet Earth, Georgetown on Penang Island in Malaysia might just be the place. At least for me I found Soup Heaven here!